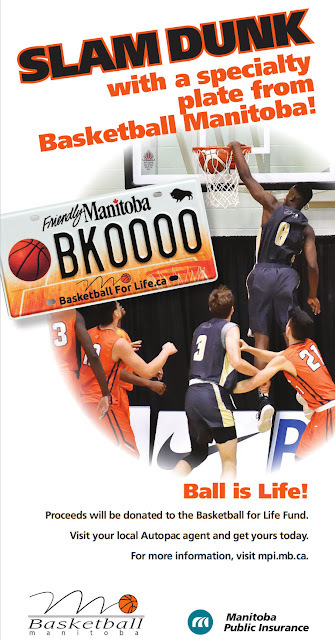 The Manitoba Basketball Hall of Fame and Museum today announced a new fundraising initiative as part of the Giving Tuesday initiative aimed to sustain the long-term viability of the organization through a new partnership with the Manitoba Heritage Trust Program. The Manitoba Heritage Trust Program aims to attract public and private funding and provide long-term, sustainable revenue for community projects and organizations, with a special emphasis on heritage organizations. 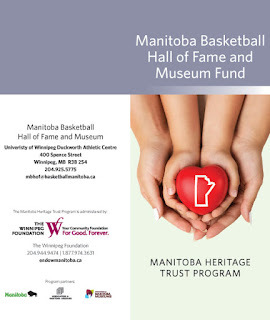 Through the program, qualifying museums which now include the Manitoba Basketball Hall of Fame and Museum, are encouraged to create an endowment fund at their local Manitoba community foundation. Stretch dollars to heritage fund gifts are provided by the Province of Manitoba. Manitoba is home to 55 community foundations, each of which provides grants to community projects and community organizations operating within a specific area of the province. The Winnipeg Foundation, Canada’s first community foundation, is helping strengthen philanthropy across the province by providing supports and services to engage and build capacity amongst Manitoba’s community foundations. The Manitoba Basketball Hall of Fame and Museum was established at the University of Winnipeg, Duckworth Centre in 2001. 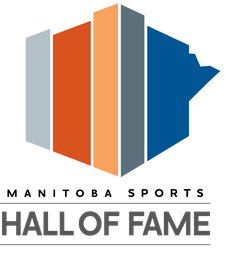 This unique hall is the only basketball hall of fame in Canada with a permanent site dedicated to celebrating those honoured and preserving the heritage of the game, featuring rotating exhibits, history of basketball in Manitoba, clips of classic games, artifacts and much more. 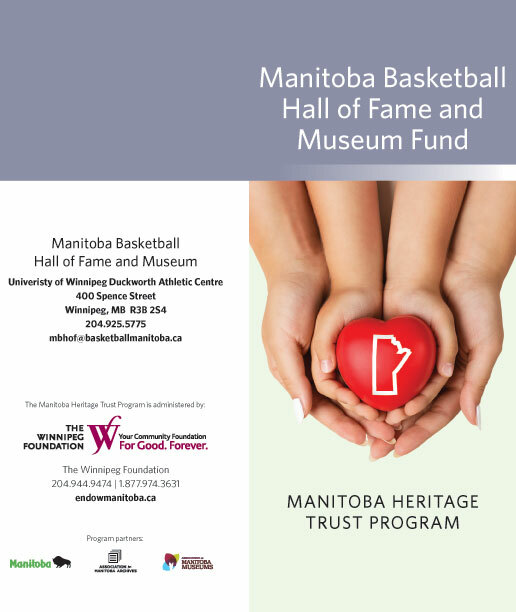 The hall has partnered with The Winnipeg Foundation through the Manitoba Heritage Trust Program (MHTP) to establish the Manitoba Basketball Hall of Fame and Museum Fund. This endowment fund will ensure the hall will be financially sustainable and continue to grow now and in the future. The goal is to raise $50,000 over the next three years. Until March 31, 2021, for every $2 donated to our fund the MHTP will contribute $1, to a maximum of $170,000. Donations are also accepted offline. Please click the below image to view a printable form to make your donation via cheque. Thank you in advance for supporting this important campaign!